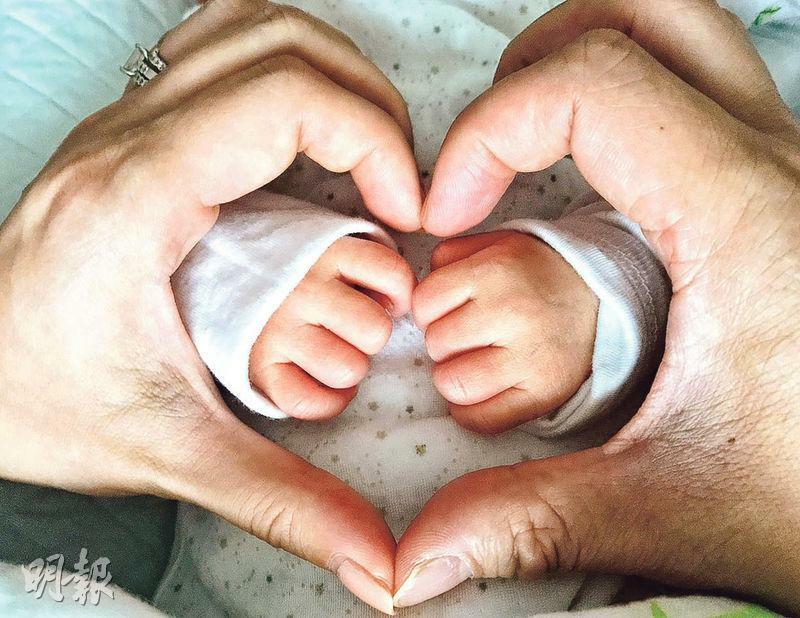 37 years old Myolie Wu has become a mother now. Myolie and her husband Philip Lee announced the good news yesterday. Myolie gave birth to a baby boy by normal delivery, the baby weighs nearly 8 lbs. Philip told the social media that mother and baby are well and Myolie is breast feeding the baby. Philip said Myolie is very tired and she finds breast feeding the baby is a challenge. Myolie will follow the Chinese tradition to stay indoor, mostly in bed for a whole month. She is not even allowed to pick up her phone. According to Philip, the name "Brendan" is an Irish name, meaning a "Prince". Brendan has 5 aunties already lined up as Godmothers, namely Paisley Wu, Elaine Yiu, Selena Lee, Nancy Wu and Mandy Wong. Nancy Wu was the first "Godmother" to see the baby. She told reporter "I am so happy that I have seen the baby, he is very cute, full of his parents good genes." 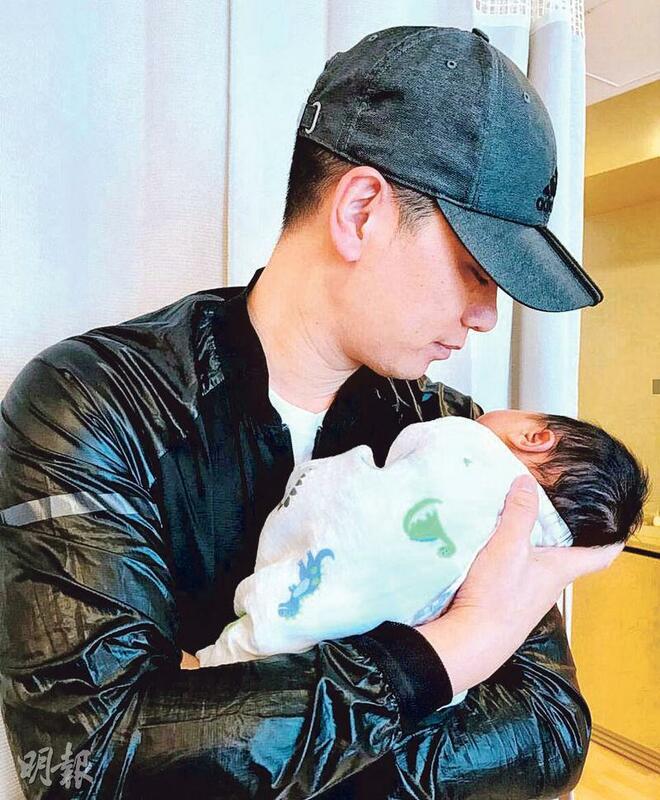 Myolie's good friend Joel Chan left a message in social media "I wish Baby Lee growing up healthy. Mandy Wong also posted "Myolie is a supermama, well done!" Myolie and Philip got married in December 2015, she is the first person in "The Sisterhood Traveling Gang" (胡說八道會) to become a mother. Congrats to Myolie & Phillip, and welcome baby Brendon to this world. Baby Brendon is so blessed to have so many godmothers! Congrats to Myolie and her hubby on their new bundle of joy. awee. congrats to the new parents! i'm sure myolie will be an awesome mom! Congrats to Myolie and Phillip on New addition to the family. It will be hard with no help. Good luck to the new parents. They however do grow up fast so don't blink. nice, congrats to myolie, phil and family! baby brendon looks very healthy! so much hair too! Congratulations to Myolie and Phillip!! Wishing Brendan a happy and healthy life! Congrats!!! wonderful news !!! i love the name !!! Lucky to have 5 awesome godmothers!!! congrats to them both. hope myolie has a speedy recovery. Congratulations to Myolie and her husband. Wishing Brendan growing up healthy. Awww a huge congrats to baby Brendan as well as to the parents, Myolie and Philip! Congrats to the newly family, I've actually forgotten that she was pregnant. Enjoy parenthood but to care for a new born baby is very tough being first time round parents. All the best. omg wow congratulations to the Myolie and Philip!!! congrats myolie!! welcome to the world baby brendan!